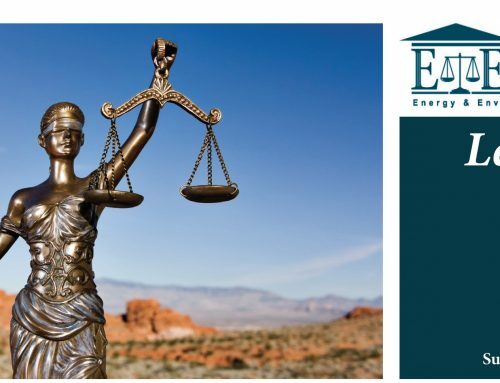 The Energy & Environment Legal Institute (E&E Legal), on behalf of its members, comments that EPA’s proposed rule to control greenhouse gases under the Clean Air Act’s New Source Performance Standards is unconstitutional as a substantive due process violation of the Fifth Amendment because it constitutes a naked transfer of wealth from one sector of the electric generation industry to other electric generation entities of that industry. Further, the proposed rule is unconstitutional as a due process violation of the Fifth Amendment, in the form of a violation of equal protection, because the rule is intended to increase the cost of electricity to those least able to pay that cost, because EPA knows of this inequality, because EPA knows the targets of that inequality are protected minorities, and because the value of carbon to the society is greater than the cost to the society; and thus, EPA acts with the intent to injure protected minorities. The proposed rule constitutes both a facial violation and an as-applied violation of the due process clause of the Fifth Amendment. Based on EPA’s own description of its rule, there are no circumstances where the rule is valid, and thus is a facial violation of due process. Also, the rule deprives specific individuals of their constitutional rights. This rule doesn’t withstand a substantive due process challenge because there is no legitimate state interest that the court could rationally conclude is served by the rule. EPA can’t defend against a substantive due process challenge because it has no plausible governmental interest sufficient to pass constitutional muster. 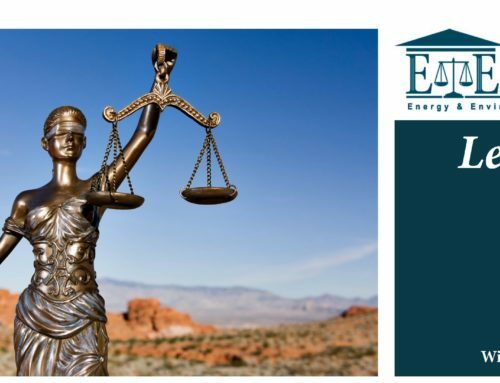 Through this comment we warn EPA that a rational basis review isn’t toothless and the Agency’s failure to proffer reasons for its regulation that are not rational condemns the proposed rule to its unconstitutional status. The sole rationale for EPA’s rule is the intent to protect the public from the effects of catastrophic climate change which EPA asserts will arise from increases of carbon dioxide. EPA offers no more than its reliance on the work of others, committing multiple logical fallacies. These include, appeal to authority, appeal to belief, appeal to consequences of a belief, and ignoring a common cause. Ultimately, EPA bases its illogics on computer output from models that assume a significant relationship between carbon dioxide and global temperature. In so doing, it alleges several events it claims the rule will help prevent. These include the prediction that seas will rise faster, that this sea rise will cause “geopolitical hotspots,” including mass migrations (presumably of people) and the need to increase security in the Arctic, apparently of the northern coast of Alaska where there is no significant economic activity and no projections of any. And the prediction that warming cold lead to increases in heavy rainfall and decreases in crop yields – a prediction that fails to take account of the positive value of carbon dioxide on crop growth and the benefit of more rain, especially in the arid west and southwest of the United States. EPA also accepts the prediction that increased temperatures, but not increased rainfall, will cause more wildfires, and eventually cause the mass extinction of the human race. EPA does not ignore the rest of the animal world, relying on the alarmism of predictions that the oceans will further acidify, despite that the oceans are not acidic in the first place and that there is no evidence that they ever will be acidic. In simpler terms, EPA relies on predictions that increased carbon dioxide in the atmosphere will increase global temperatures in a manner that endangers human health and the environment. EPA claims it has taken into account recent scientific advances and that none of them undermine their 2009 Endangerment Finding. They have not, and this is especially true for the most important single assumption they have made – that carbon dioxide will significantly increase global temperature, the sole driving force behind the predictions of the parade of horribles upon which EPA relies. Note especially, EPA did not conduct any original analysis. It simply relied upon others and their predictive models. What EPA has not taken into consideration is the fast moving advances in understanding the low climate sensitivity to carbon dioxide, generally defined as the earth’s average surface temperature from a doubling of the atmospheric carbon dioxide content. Specifically, EPA has not incorporated information from: Loehle, C., 2014, “A minimal model for estimating climate sensitivity,” Ecological Modelling, 276, 80-84; or, Spencer, R.W., and W. D. Braswell, 2013. “The role of ENSO in global ocean temperature changes during 1955-2011 simulated with a 1D climate model,” Asia-Pacific Journal of Atmospheric Sciences, doi:10.1007/s13143-014- 0011-z. Nor has EPA assessed the emerging facts that show their reliance on the IPCC AR5 climate models’ climate sensitivity is grossly in error as documented in 18 peer-reviewed studies. The upper 95% confidence interval of eight of the studies is at or below the climate sensitivity assumed in the IPCC AR5 models. Twelve of the studies estimate the climate sensitivity below the lower 95% confidence interval of the IPCC AR5 models, and all 18 studies estimate climate sensitivity significantly below the mean value used by the IPCC AR5 models. Any model is an abstraction from and simplification of the real world. Whenever the methodology is challenged, however, the agency must explain the assumptions and methodology used in preparing the model and provide a complete analytic defense. This EPA has not done and cannot do, much less in a manner that would satisfy the scientific and analytical principles of the Data Quality Act and its implementing guidances. Nor may EPA rely on an appeal to authority or any other logical fallacy it has otherwise used. EPA’s reliance on the models of the IPCC AR5 report also impeaches all its alarmist conclusions because the lynchpin of them all are the IPCC AR5 assumptions of climate sensitivity. That failure to use and apply current scientific knowledge, and EPA’s refusal to eliminate reliance on the IPCC AR5 models is a fatal error that destroys the sole underlying basis for its regulatory proposal. This failure places the basis for the regulatoryaction outside the zone of reasonableness necessary to justify the regulation. 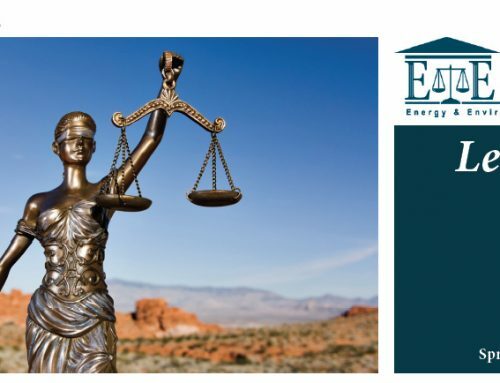 When examining the mischief against which the regulation is aimed, where there is no mischief of the kind EPA assumes, EPA cannot reasonably or rationally intend to address the mischief at which the Clean Air Act or the proposed regulations are aimed. Based on its own statements, EPA does not actually intend to control the mischief of climate change through its proposed rules. EPA admits the regulatory effort is entirely nugatory, stating “even in the absence of this rule, (i) existing and anticipated economic conditions mean that few, if any, solid fossil fuel-fired EGUs will be built in the foreseeable future; and (ii) electricity generators are expected to choose new generation technologies (primarily natural gas combined cycle) that would meet the proposed standards. Therefore, based on the analysis presented in Chapter 5 of the RIA, the EPA projects that this proposed rule will result in negligible CO2 emission changes, quantified benefits, and costs by 2022.”Thus, the proposed rule is unnecessary to prevent any assumed climate change calamities, and therefore, EPA cannot have the intent to to do so. If EPA promulgates the rule, it must be on the basis of some other intent and the other intentions fall afoul of the Constitution. EPA’s presumption is that electricity generators will “primarily” choose to use electricity generation based on natural gas, but this presumption ignores the 30 states that have renewable energy mandates that require non-hydrocarbon generation (see, E&E Legal’s “Interactive RPS Profile Map” and included into this regulatory record by reference) ; and, EPA ignores the fact that those mandates cost more (see, e.g., “The Hidden Cost of Wind Energy”, E&E Legal Institute 2012, and “The High Cost of Renewable-Electricity Mandates” Manhattan Institute 2012, and the extensive bibliography in the Manhattan Institute report, both reports and all bibliographic entries included into this regulatory record by reference.) This comment places EPA on record as knowing both. EPA also ignores the requirement for diversity in generation that all state public utility commissions demand for base-load electricity generation. This need for diversity has recently been seen as essential in Texas when cold weather forced the loss of natural gas generation, causing significant loss of power across the state. Because coal is significantly less expensive than other (non-natural gas) alternatives, it remains a valuable generation source for decades to come. Estimates of the social cost of carbon that take negative values (i.e., because on net carbon creates more benefits than costs) document the relative value of using coal to generate electricity and demonstrate that the benefits of coal outweigh any reasonably estimated harm to public health and the environment, as discussed above. 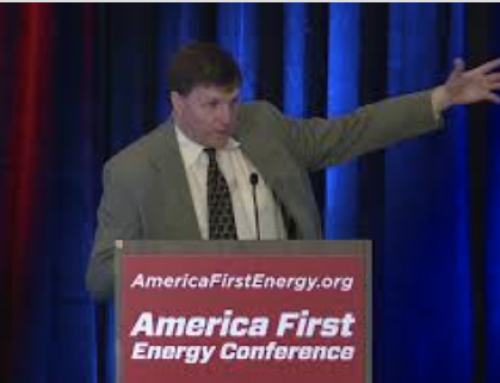 See also, Idso, Craig, The Positive Externalities of Carbon Dioxide,” Center for the Study of Carbon Dioxide and Global Change (2013), and see, Patrick Michaels and Chip Knappenberger (Center for the Study of Science, Cato Institute). “Comment on ‘Technical Support Document, Technical Update of the Social Cost of Carbon for Regulatory Impact Analysis Under Executive Order 12866,” January 27, 2014. VI of the Civil Rights Act of 1964 for Environmental Regulation,” Boston College Environmental Law Review (Feb. 2001). Because EPA admits it does not and cannot intend to reduce carbon dioxide emissions and admits its regulations impose greater harm on minorities, women and the elderly through the economic impacts of higher cost electricity and the loss of benefits associated with carbon use, this proposal can only exhibit an intent to harm minorities, women and the elderly, there being no other intent manifest from the rule. The proposed rule is a naked preference for non-coal electricity generation, a naked transfer of wealth from the coal industry to natural gas and renewable energy generators, and one lacking in a rational basis and outside the zone of reasonableness. Both the irrationality of the proposal and the intent to limit equal protection to minorities, women and the elderly constitute substantive are both facially and as-applied violation of the due process clause of the Fifth Amendment, harming the society at large and members of the Energy & Environment Legal Institute, the proposed rule is unconstitutional.